LANDLORD LEGISLATION IS CONTINUALLY CHANGING, ALL THESE LANDLORD PACKS ARE REGULARLY UPDATED TO KEEP YOU COMPLIANT WITH GOVERNING AGENCIES. The Landlord - Residential business pack has been designed to be used by landlords letting residential premises. The templates that are included cover all areas of residential property management from approving tenants through to terminating the letting. Included are all the documents and guidance all allow the correct procedures to be put in place and keep both the landlord and the tenant compliant. 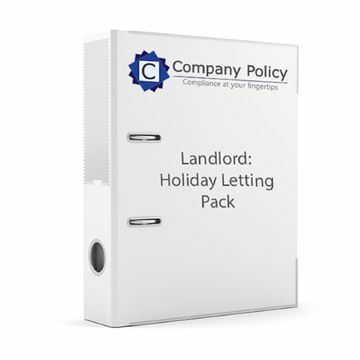 This Landlord - Holiday Letting business pack contains all the documents owners of holiday accommodation will require. It can also be used by holiday letting agencies. The documents cover a range of holiday accommodation and can be altered to suit a variety circumstances. Included are various holiday accommodation agreements which cater for both booking online and over the telephone and a selection of share ownership documents.